Podcasts are organized in popular categorized playlists : News, Sport & Fitness, Business, Science & Technology and Travel & Lifestyle. 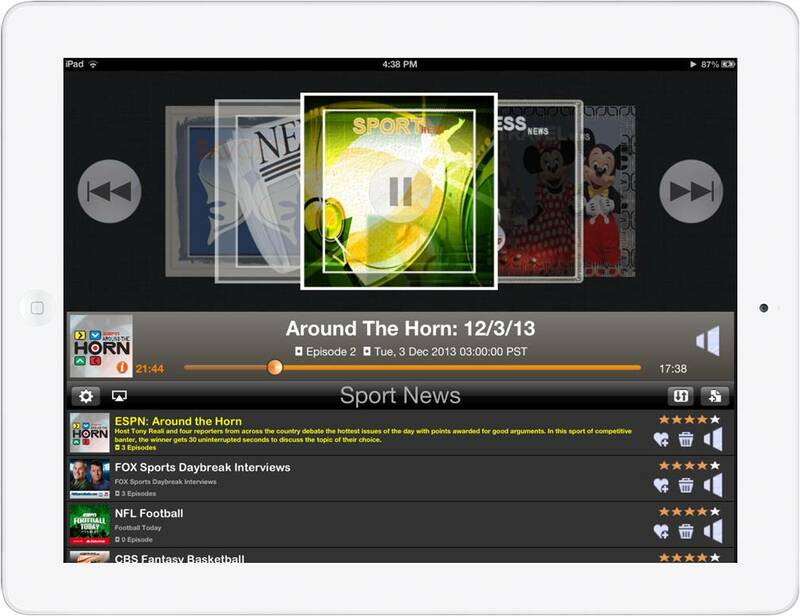 Live Streaming to iPhone/iPad thru available network connection (Edge,3G,4G,LTE or WIFI). Latency is depended on available network and server speed. › Podcasts are organized in categorized Playlists: News, Business & Idea, Sport & Fitness, Science & Technology and Travel & Lifestyle. › Additional Favorite Playlist provides convenient way to group favored Podcast(s) from any other playlist. › Top 100 popular Podcasts in respective category (updated daily). 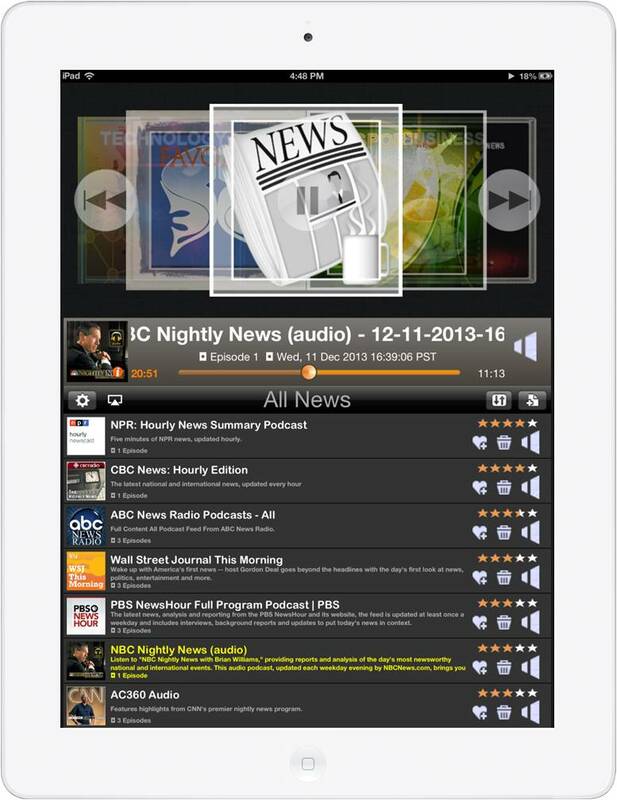 › Fast and Versatile Searching of 300,000+ Podcasts. 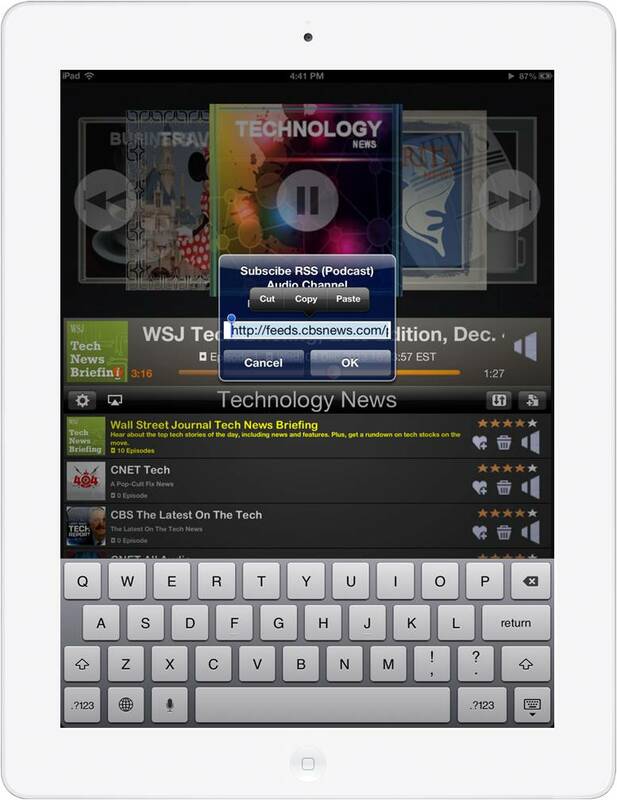 › Enter Podcast URL manually. › Playlist is completely organizable. › Active (play-able) and inactive (non-playable) Playlist. › Podcast's Episode detailed info and browser. › Background playing and resuming. › Airplay compatible and remotely controllable. › Different playing modes with sleep timer. › Import unlimited Playlists from other podcast players like iTunes,Feedly,... using email file attachment in OPML format. »» Attach the document and email to your device. »» Open Email, touch file attachment and then touch "Podcast Live!" App icon. Note: For efficientcy, Podcast's Episodes is limited to 100 and first episode is enable for listening by default. Enable/Disable Episode is also a snap.